Hello! 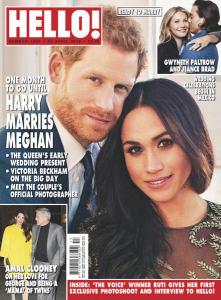 UK - 23.04.2018 » Download PDF magazines - Magazines Commumity! Hello magazine features news and pictures from the world of celebrity, royalty, entertainment, film and music; fashion trends and videos; health and beauty; celebrity profiles.